I wish to thank Dr. Mark Miller, and posthumously, Dr. Marc Cathey, former President Emeritus of the American Horticultural Society, for their guidance and support; the members of both the National Garden Clubs Inc. and the Garden Club of America for testing my data; the many nurseries who shared their catalogues; and the staff of the American, Bermuda, Massachusetts, Pennsylvania, and Southeastern Horticultural Societies for helping me develop the original program. Special thanks to the institutions and plant societies who have helped to verify both information and photographs including the Instituto de Botánica Darwinion in Buenos Aires, and the library of the Singapore Botanic Gardens. In addition I wish to thank the many flower show committees across the country who let me test the database and/or incorporate data from their shows - including but not limited to - Alabama, Arkansas, Arizona, California, Colorado, Connecticut, District of Columbia, Florida, Hawaii, Illinois, Iowa, Georgia, Kentucky, Louisiana, Maine, Maryland, Massachusetts, Michigan, Montana, Nebraska, New Hampshire, New Jersey, New Mexico, New York, Ohio, Oklahoma, Oregon, Pennsylvania, Rhode Island, Tennessee, Texas, Utah, Vermont, Virginia, Washington, Wisconsin, Wyoming, and others. I wish to thank La Federacion Costarricense de Clubes de Jardines de Costa Rica for allowing me to include photographs from their 2013 flower show "Costa Rica Eterna Primavera". In addition, we have photographed plants in Argentina, Barbados, Baja California, Belgium, Borneo, Brazil, Cambodia, Canada, Chile, China, Costa Rica, Czech Republic, Ecuador, France, Great Britain, Hungary, Ireland, India, Italy, Ireland, Kenya, Laos, Mexico, Panama, Russia, Singapore, South Africa, Spain,The Netherlands, Uruguay, Viet Nam, Virgin Islands and more. Recently I had the opportunity to photograph the fruits and vegeatables in the Dekalb Farmers Market, 3000 East Ponce De Leon Ave Decatur GA. http://www.dekalbfarmersmarket.com/ This extraordinary place draws unususal and very fresh produce from the 4 corners of the earth. I learned more about these unusual fruits vegetables and their uses from my time in this farmers market than in all my years of studying about them. Special thanks to the Arnold Arboretum and the Gray Herbarium, of Harvard University; The New England Wildflower Soc., William Brumback; Jim Folsom and John Trager of the Huntington Botanical Gardens; and Bill and Melissa Cullina, Coastal Maine Botanic Gardens, for their help with this project, and the many plant societies that have permitted me to photograph entries at their shows. To Mary Ann Patterson, Don & Betty Call, your help and encouragement were much appreciated. To Jean Jones and Paul Parisi, thank you for adapting my original program, Showtime, to become Plantipedia®! As we add photographs and supporting data to the plants in Plantipedia®, it will become ever more useful. Mistakes are inevitable and unintentional. This is a work in progress, with Botanical Names changing, old data being updated and corrected, and new plants added as time permits. Thank you to Dr. Rafael Govaerts, ,Dr. Peter Stevens and Dr. Kanchi Gandhi for assisting me in defining the options related to ongoing taxonomic changes, and Dr. Peter Raven for his encouragement along the way. The primary online reference for plant nomenclature in Plantipedia as of August 1, 2018 will be Plants of the World Online - http://plantsoftheworldonline.org/ based in Kew. RBG, Kew cannot warrant the quality or accuracy of the data which will be updated as changes are identified. Additional verification will continue to be through Dr. Peter Stevens' web site for the Angiosperm Phylogeny Group APG http://www.mobot.org/MOBOT/research/APweb/, and Dr. Kanchi Gandhi, of Harvard Univ. Herbarium, Editor of the International Plant Names Index http://www.ipni.org/index.html and editor of the Flora of North America project http://floranorthamerica.org/ and the World Check List for Plants http://wcsp.science.kew.org/prepareChecklist.do?checklist=selected_families%40%40070110320191100202. 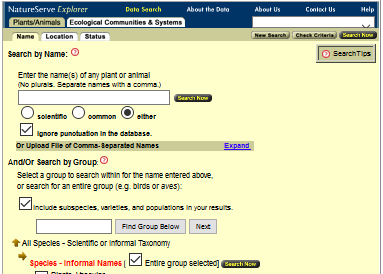 The WCSP provides the ability to search by synonym, showing current names listed in bold text. The USDA plant profiles http://plants.usda.gov/ web site is referenced and the data is hyperlinked to their site giving the status of, and the mapping of native plants, noxious weeds and invasive plants. Thanks to Anne Frances, Ph.D. of NatureServe, the "G1 - Critcally imperilled" status for the nation's most at risk plants is being incorporated into the status data for each of these plants, time permitting. Copyright © 2017 NatureServe, 4600 N. Fairfax Dr., 7th Floor, Arlington Virginia 22203, U.S.A. All Rights Reserved. Plants being conserved as part of the National Collection of the Center for Plant Conservation consortium are identified and linked both to the CPC site and subsequently to their sponsoring institution. Thank you Art Scarpa for allowing me to photograph your collections; to Carrie Waterman for sharing your terrific images of unusual succulents; to Linda Milton for sharing images from your garden; to Nan Carder for sharing her beautiful images with us; to Joanne Lenden for allowing us to include your wildflower image collection, and to the Colorado Dahlia Society for permitting us to link directly/remotely to images in its collections on their web site. In addition, we would like to thank Allan and Judi Davidson for sharing their lovely images of Bermuda's flora; Peter Holmes for his images of Bermuda's Mystery Roses; and Helen Dillon for her help with identifying the glorious plants in her famous garden in Dublin, Ireland, and Vickie Denton, Virginia Almand, Barbara May, Margot Paddock, David Robson, Nadia Aramburu and others for allowing me to include their images . Recently I have had the opportunity to visit and photograph in the Jardim Botanico Plantarum, Nova Odessa, Brazil where Harri Lorenzi's extensive work with (and many publications about) the at risk plants of " all Brazilian ecosystems,., of the Atlantic Forest and the Amazon region are featured". Thank you to The Center for Plant Conservation San Diego Zoo Global http://saveplants.org/ for permission to remotely link to the data within the records of the CPC's National Collection of endangered plants; to Logee's Greenhouses; Brent & Becky's Bulbs, Prairie Moon Nursery, and TheSucculentGarden.com , Plants Delight, Inc. and Monrovia https://www.monrovia.com/plant-catalog/ who have agreed to let us use and or link remotely to their image inventory. These links are a work in progress. Thank you to Moulton Farm, Oliver's Nurseries, Russell's Greenhouses, Sylvan Nurseries, Corliss Brothers, Avant Gardens, San Marcos Growers, Wayside Nursery, Broken Arrow, Pleasant View, Millican's and many other garden centers, botanic gardens and nurseries around the world for allowing me to photograph in your gardens. 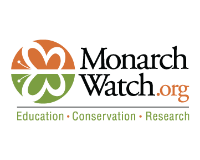 Thank you Chip Taylor of Monarch Watch for allowing us to link remotely to the Monarch Watch collection of unusual milkweed images, and a very special thanks to Karl Gercens for permitting us to link remotely to his extraordinarily beautiful plant images from the 4 corners of the earth. My trip to Barbados in 2018 was greatly enriched by the generosity of Dr. Sean Carrington who helped me identify the plants we saw, and linked me to two amazing internet resources - his own web site http://ecflora.cavehill.uwi.edu/index.html which is a beautifully organized compendium of the plants of the Eastern Carribbean, and the Smithsonian's http://botany.si.edu/antilles/Westindies/. Dr. Carrington's books continue to be a huge resource for me. In addition, while in Barbados, Sharon Cooke, of Andromeda Botanical Gardens, David Spieler of Flower Forest Botanical Gardens, and Georgina Trew of PEG Farm & Nature Reserve, all were most helpful. Thank you John A. Floyd, Ph.D. Southern Living, Editor-in-Chief, ret. for sharing your images and your blog http://birminghamgardeningtoday.com/ which has fabulous content and sensible tips on plants and gardening advice so useful to plant-huggers well beyond the Birmingham area. Thank you to Forest & Kim Starr of HI for allowing me to incorporate their images into the data on Plantipedia. Their work on the native plants of HI is astonishing. http://www.starrenvironmental.com. And to Kate Brenner for permission to use her photos and to link to her amazing web site https://www.paradisefoundnursery.com/ that has beautifully photographed images of rare and unusual succulents and cacti. In addtion, the herbarium collections of the participants in the Jstor consortium have provided me with valuable access to primary resources of rare species. The Botany department of the University of HI site has a comprehensive photo database of the endemic plants, many of which are included here as they sre freely shared when used for educational purposes. http://www.botany.hawaii.edu/faculty/carr/natives.htm. Included in Plantipedia are images by Gerald D. Carr, and. J.K. Obata, C.H.Lamoureux, M.LeGrande, Linda Cuddihy, Jeni Stemmerman, Tim Motley, Sheila Conant, D.H.Lorence, Ken Wood, Robert Hobdy, Joan Canfield and others. Thank you to the folks at https://www.schreinersgardens.com who have allowed me to include their images and link to their web site. I've been a fan of their amazing catalogue for many years, and being able to include iamges of their Iris is an honor. Some of those who have assisted with plant id include among many others, are Lucinda McDade, Director Rancho Santa Anna Botanic Garden, Jennifer Possley, Fairchild Tropical Botanic Gardens, Dr. James Cobb, Scotland, noted authority on Meconopsis, David Robson, Univ of IL (who has generously share his images as well), and Arthur Haines, New England Wildflower Society who has been so very helpful in identifying my images of New England plants, and has allowed me to use his images within Plantipedia. 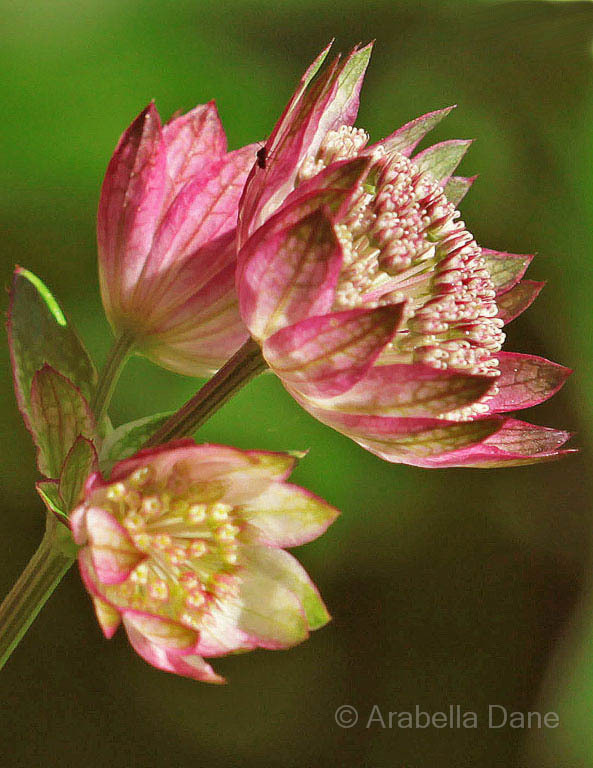 In addition, The New England Wildflower Society's GoBotany web site is easy to use is comprehensive and has wonderful images of New England's flora. Some of those, ( by Donald Cameron and Jason Sachs) designated on the Go Botany site as being freely shared for individual and non commercial use have been incorporated into the records of plantipedia. Henriette Kress, AHG Helsinki Finland, a renowned medicinal plant expert, has been hosting a fascinating site since the 1990's and has given us permission to use her photographs. Time permitting, if a plant is keyed as medicinal then it is my intent that the link to her site will appear. http://www.henriettes-herb.com . Kete' Brenner's Paradise Found Nursery has shared her lovely images of cacti and succulents with plantipedia. Her images add greatly to the records in plantipedia. I encourage you to explore her site with its extensive inventory of rare succulents and cacti. In my searching for a credible grower and photographer of Uncarina I contacted E. Bihrmann in Denmark - Senior consultant HT1 INTERNATIONAL NATURE CONSULTANCY who has graciously permitted me to incorporate his images of caudiciforms http://bihrmann.com/caudiciforms/caudex.asp. Tony Henehan and Rick Snider of Texas Parks and Wildlife helped to id images of the plants In the Lower Rio Grande area. As the data about our native pollinators and their plant preferences, and the need to protect them and their habitats has become a focus of the nation's plant conservationists, I have begun the process of correlating properly documented information about our pollinators with the plant data in plantipedia. The remarkable book "Pollinators of Native Plants" by Heather Holm published in 2014 by the Pollinator Press LLC, Minnesota has served as the primary resource and basis for the native plant pollinators listed. Heather has researched and photographed 65 of our native plants and their pollinators. In addition, data from Bumble Bees of North America: An identification Guide, by Williams, Thorp, Richardson & Colla 2014 Princeton University Press has been incorporated, as well as the data from the Xerces Society's Guide to Attracting Native Pollinators: Protecting North America's Bees and Butterflies, Storey Publishing 2011. Heather Holm's new book, Bees: An identification and Native Plant Forage Guide pub by Pollination Press LLC , a must-have reference, is winner of four book awards. Her web site is www.pollinatorsNativePlants.com. 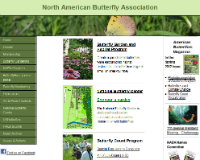 Information about the pollinators of North American Orchids has been included from the North American Orchid Conservation Center http://goorchids.northamericanorchidcenter.org/. John VanDyk of the Iowa State University Dept. 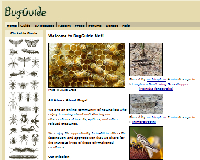 of Entomology, has graciously allowed us to link our pollinator data to www.bugguide.net, his online web reference ("For the identification of insects spiders and their kin for the United States and Canada"). copyright © 2003-2017 Iowa State University In addition, information from various other publications of the Xerces Society and the National Wildlife Federation have been incorporated. In addition, Katie Heineman, Ph.D., at the Center for Plant Conservation, has been compiling data on the pollinators of the plants in the CPC's national collection. Her research is carefully referenced, and where used, CPC is cited. At some point pictures of the pollinators will be hyperlinked or included in a manner similar to the way we have included data and photographs of the nation's butterflies. I wish to thank the family of Corliss K. Engle for allowing me to include her plant images, and most of all thank you, Nat Dane, for sharing your pictures with us in addition to your unflagging support during these many long years of developing this program.